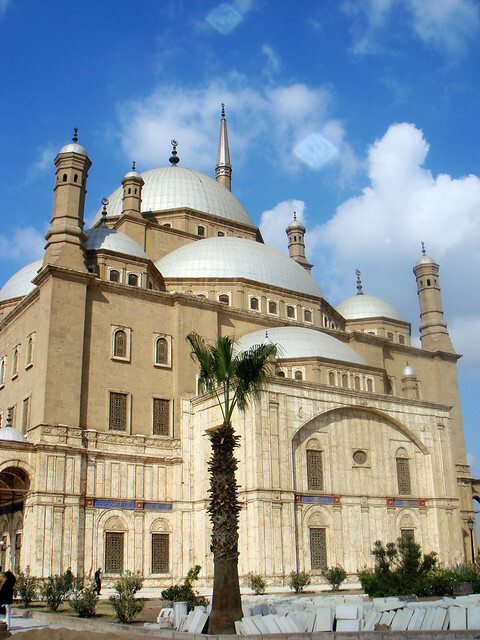 Cairo, the capital of Egypt, is the largest city in both Africa and the Arab World. 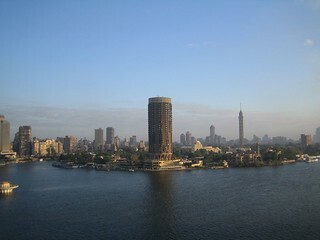 The majestic River Nile passes through the metropolitan part of Cairo and adds to the city’s already wonderful personality. Diversity, culture, pleasant people and sensual overload are the things you should prepare yourself for if you travel to Cairo and let yourself free to appreciate this extremely unique city’s true essence. Many Egyptian pyramids are within easy striking distance of Cairo The Great Pyramids of Giza, where you’ll find the Great Sphinx, are at the city’s edge. You can get out to the Giza pyramids by local bus or taxi and then either walk and ride a camel around the sights.. There’s a Sound and Light Show most evenings at the Sphinx. The Egyptian antiquities museum houses vast amounts of unique world treasure and is a must see for everyone regardless of personal tastes. Also visit the Ahmed Shawky Museum for a most cultural and folkloric experience. Cairo has always been a multicultural and very tolerant city. Ancient temples, tombs, Muslim and Christian churches and monuments happily co-exist side by side. Visit any of the city’s characterful small cafes and you’ll be guaranteed smiling service, wonderful aromas and tasty coffee. 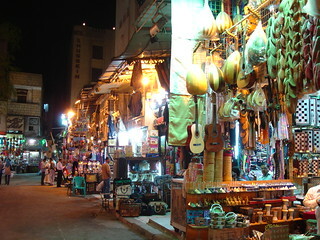 Stroll along narrow streets to your heart’s delight and visit the many outdoor markets (Bazaars) such as the famous 14th century Khan el-Khalili, Wekalat al-Balaq, the Tentmakers bazaar, the musical instrument bazaar in Mohammed Ali Street, or even the Camel Market. You might even get a well-intentioned offer to exchange your partner for several camels in the Market. Quality gold, silver, carpets, brass, copperware, fine Egyptian cotton, spices, perfumes, leatherwork, glass and ceramics are all excellent value but be prepared to haggle! For the latest fashions and electronics, modern air-conditioned malls also abound. This amazing city is full of life with art galleries, music halls (e.g. the Cairo Opera House). Venues like El Sawy Culture Wheel, a cultural centre, which hosts 2 – 4 events every day, including art exhibitions, workshops, concerts and plays, offers culture and art at affordable prices. The choice of nightlife is simply bewildering, with pubs, bars, belly-dancing cabarets, casinos in most large hotels and a variety of permanent and seasonal shows that will appeal to every taste. The food is also excellent, reasonably priced and extremely varied, with most types of Eastern and Western cuisine represented..
A ride in a felucca, a traditional Egyptian sailing boat, down the Nile to enjoy the refreshing breeze and watch the sunset, is a perfect end to a day spent in the city.